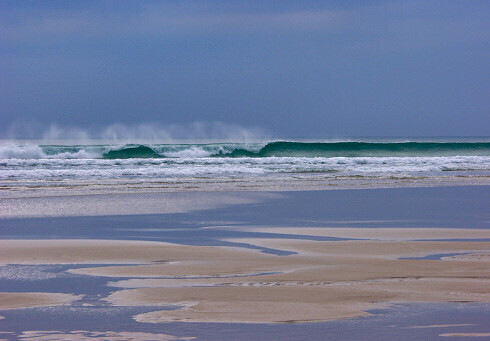 This is at Machir Bay on the west coast of Islay a few years ago. It was a fairly cloudy day, but the occasionally the sun did break through to create some very nice light. I can't remember now but it looks like it was windy, judging from how the spray is being blown away from the breaking wave.